Key Difference: White bread is typically bread made from wheat flour that has the bran and the germ layers removed during processing. Wheat Bread is bread that is made by using flour that is partly or entirely milled from whole or almost-whole wheat grains. Bread is the oldest staple food that has been prepared for at least 30,000 years. It is prepared by mixing dough with water and additional ingredients, such as salt, milk, egg, sugar and spice, and then cooked. Though most popularly, bread is baked, in other cultures breads can also be steamed, fried or baked in an unoiled pan. Bread can also be given different flavors by adding fruits, vegetables, nuts and seeds. With the current trend of healthy living and people opting for more healthy foods; bread has also come under discussion. Two types of bread under scrutiny are white bread and whole wheat bread. 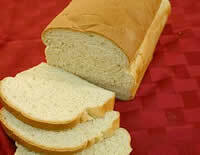 White bread is typically bread made from wheat flour that has the bran and the germ layers removed during processing. The wheat is also bleached in order to remove the slight yellow color and turn it into white. The milling process white flour a longer shelf life by removing natural oils, few vitamins and nutrients from the whole grain. The bleaching process also removes nutrients like some dietary fiber, iron, B vitamins, micronutrients and essential fatty acids. Wheat Bread is bread that is made by using flour that is partly or entirely milled from whole or almost-whole wheat grains. It is also known as whole-grain bread or whole meal bread in some countries. Depending on different countries, bread made with whole-grain flour can mean that it contains all of the component parts of the grain in the same ratios as they occur in nature or that the bread may include only representative amounts of bran or wheat germ. Which is better you ask? 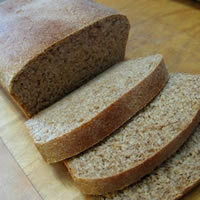 Well, wheat bread offers a wider range of minerals and vitamins compared to white bread. Wheat bread is also much higher in fiber, vitamins B6 and E, magnesium, zinc, folic acid and chromium, compared to white bread. According to research by Harvard University in 1994, wheat bread can help reduce heart attacks and strokes in people. While, research conducted by the University of Washington in 2003 showed that switching from white to whole wheat bread can lower risks of heart diseases by 20%. Since wheat bread is higher in fiber, it can also help digestion and lose weight. But when purchasing wheat bread, be careful of marketing techniques that may label a white bread as wheat bread since it is also produced from wheat flour. So when looking for wheat bread, make sure to the label says whole wheat bread, or whole-grain bread. Also take a peek at the ingredients and ensure that the first ingredient listed is whole wheat or whole meal flour, instead of enriched wheat flour.